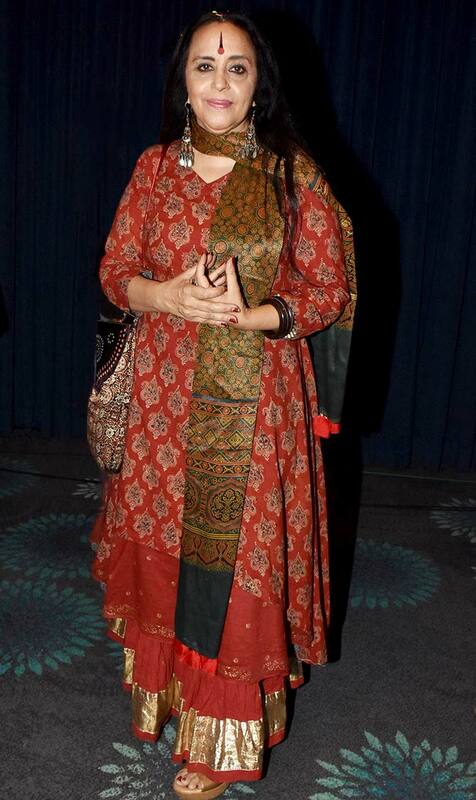 Rediff.com » Movies » Bappida celebrates 50 years of music! 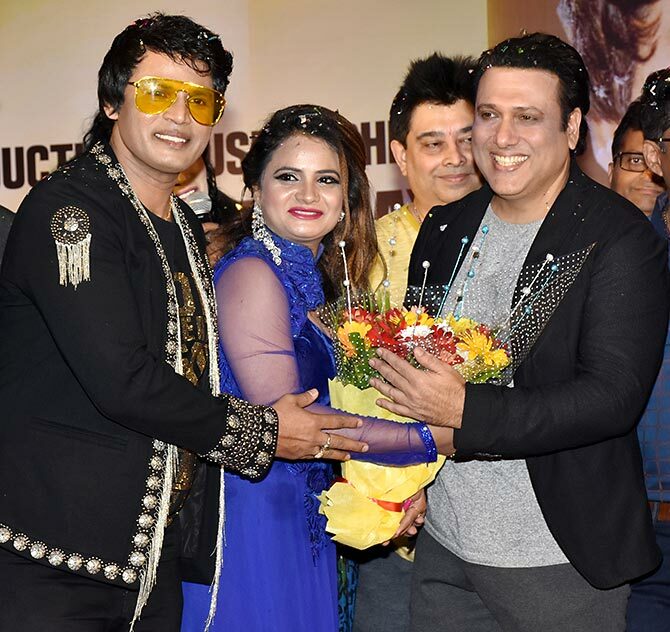 Bappida celebrates 50 years of music! 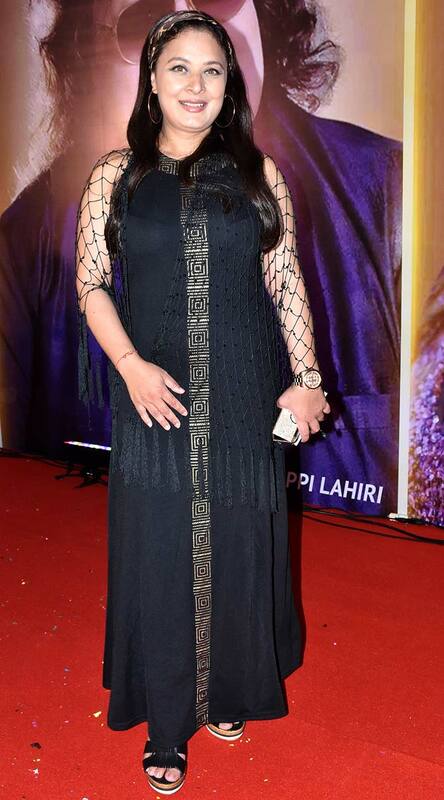 It was a double celebration for the legendary composer-performer Bappi Lahiri. 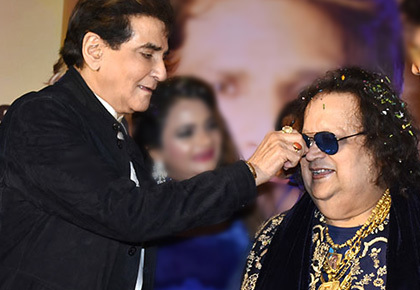 Bappida turned 65 on November 27 and also celebrated 50 years of composing music. 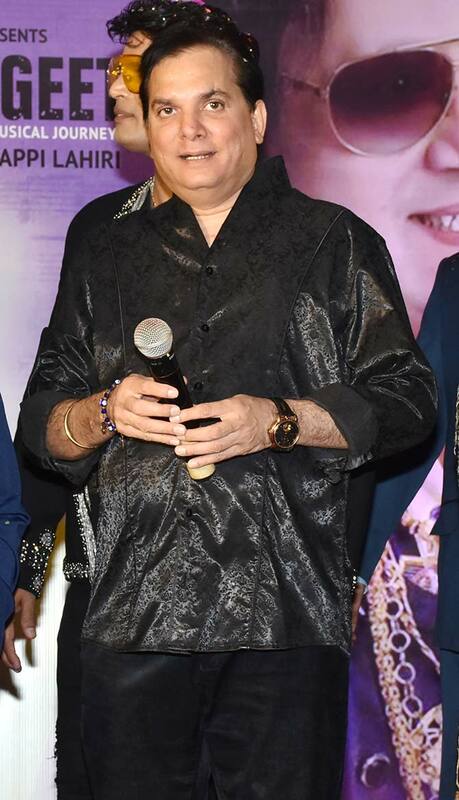 At the birthday celebrations, Bappida announced he would direct a movie, Ek Adhura Sangeet, produced by Manju Bharti and Mukesh J Bharti. 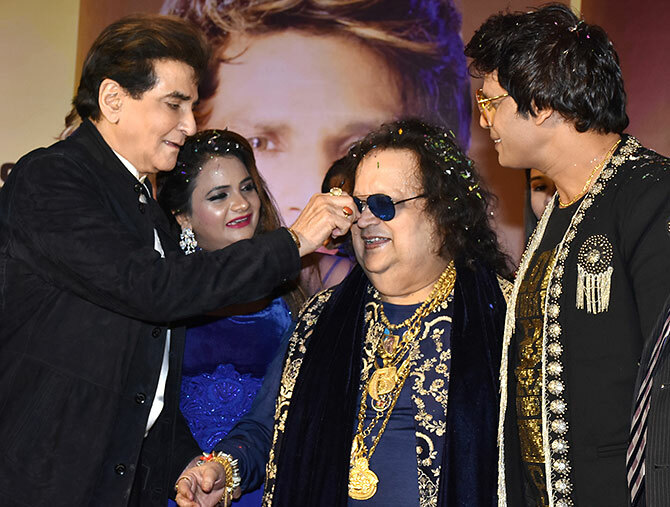 Jeetendra, Manju Bharti, Mukesh J Bharti felicitate the birthday boy. 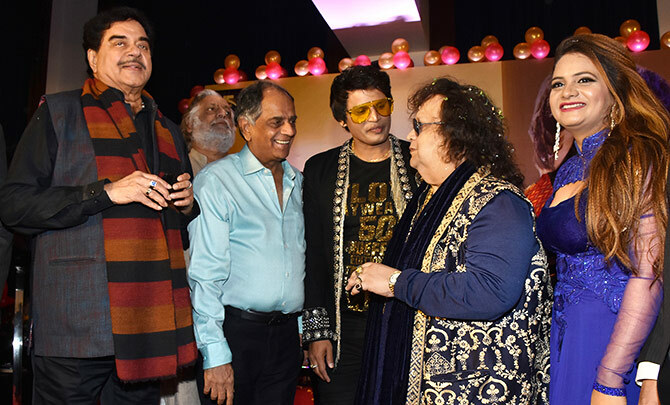 Shatrughan Sinha, Pahlaj Nihalani, Mukesh Bharti, Bappi Lahiri and Manju Bharti. 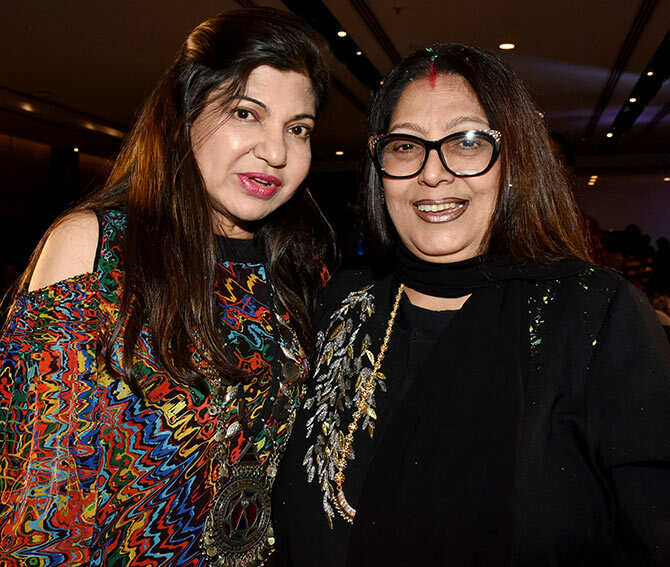 Alka Yagnik and Chitrani Lahiri aka Mrs Bappida. 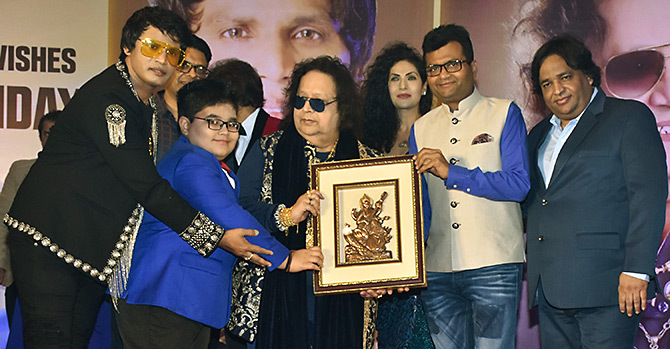 Mukesh J Bharti, Bappida's grandson Swastik Bansal, Bappi Lahiri, Aneel Kashi Murarka and Bappida's son-in-law Govind Bansal. Guess what Varun Dhawan's dream was?